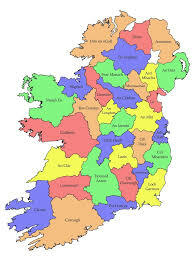 Swifts are birds of impeccable taste, often selecting the oldest and most beautiful buildings and locations to nest. 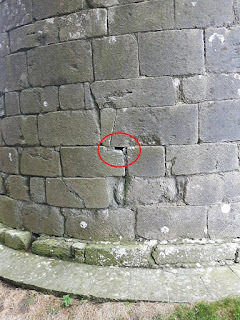 During our 2015 fieldwork season BirdWatch Ireland carried out Swift surveys at a number of OPW heritage sites. 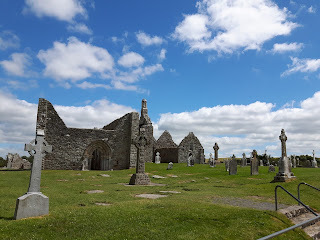 Of these we were lucky enough to have the opportunity to visit Clonmacnoise, the ancient monastic site set in the beautiful natural surroundings of the Shannon Callows of County Offaly. 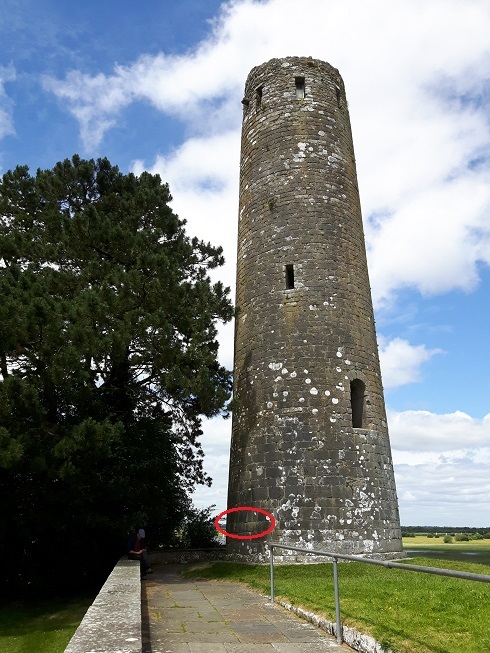 The site proved not only to be a pleasant stop in the fieldwork schedule but it also turned up one of the most interesting Swift nest locations we know of! 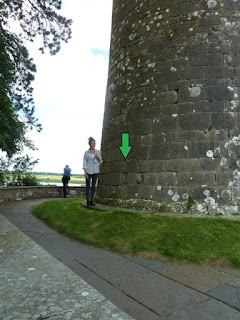 A single pair of Swifts were detected near the main round tower. The tower had been subject to a number of renovations over the years but one suitable gap in the masonry, very close to the base of the the tower remained. 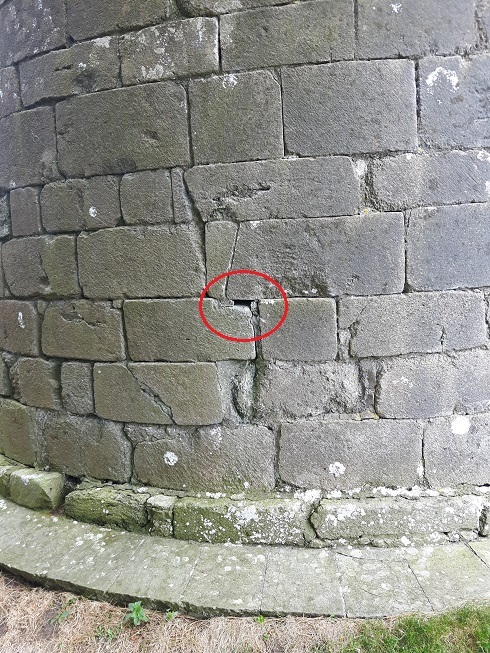 Initially the hole was overlooked as a potential nest site as it falls well below the average height range that Swifts nests are more commonly found! 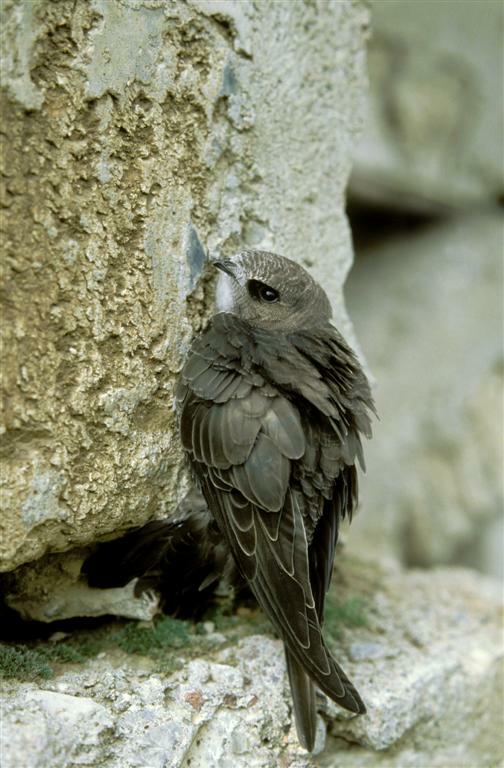 Swifts are "site-faithful" meaning they will return year on year to the same nest hole (if it has survived), lay and raise young within. 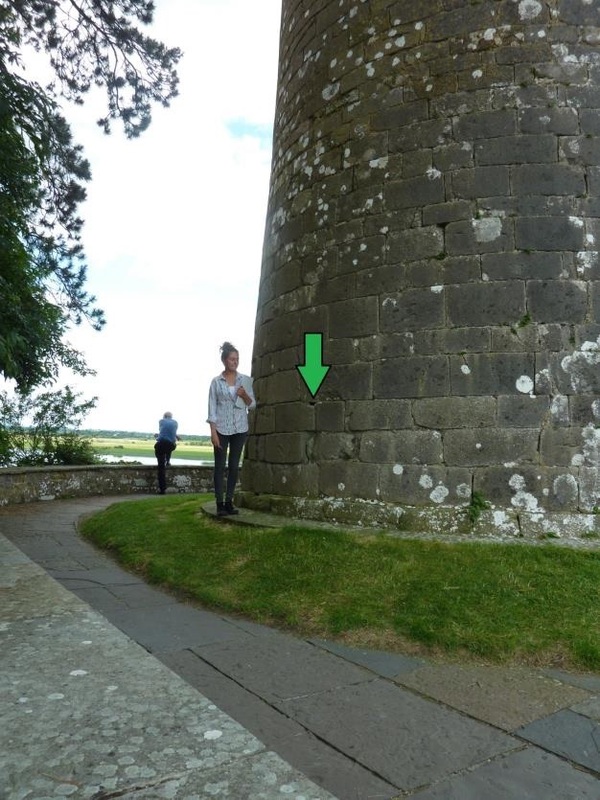 Last week we took the opportunity to swing by Clonmacnoise to see if the 2015 find was indeed a fluke or if the site was an established site being used by the resident pair. It was fantastic to find a sitting Swift incubating an unconfirmed number of eggs inside the cavity. A quick peak confirmed occupancy and incubation behaviour and also detected one "rolled" egg. On occasion eggs will get dislodged from the nest cup and birds fail to get them back into the nest to incubate, the eggs will fail to develop and remain at the nest or be disregarded whilst the parents concentrate on the viable eggs. The beautiful location and novelty of this nest site make Clonmacnoise well worth the visit for any Swift fanatic or natural history fan. One only knows how many bus loads of people from all over the world have passed the nest each summer, totally unaware of what a special creature lays within, silently rearing its young before embarking south to the Congo for the winter.